Professor Peter Burns - Module: Globalisation, Society and Culture - MSc International Event Management. Student Support – just customer service: the new face at Wittenborg University’s front desk! “There are not so many countries that offer Event Management as a master programme. Wittenborg University has been doing this since September 2012; together with the University of Brighton, which means that it's the only one of its kind in The Netherlands; this was one of the reasons for me to join. I was looking for an accredited master with a content that suited me. When I visited an education fair I met Maggie Feng, Chief Executive of Wittenborg University. She pushed me gently over the threshold of doubt. And so far I don't regret it. In the first weeks we have had Dutch and English lecturers, the latter flying in from England. They are concerned that relatively not many academic books have been written about Event Management. That is not hard to understand, because many decision makers within the academic world have not studied Experience Marketing. It is all new to them. Henk has been a lecturer at the Utrecht University of Applied Sciences since 1997, and before that has worked in the entertainment industry for the likes of Disney / ABC television, Sony Entertainment and the Dutch VARA television company. Since September, Henk has become a Wittenborg student. one of a small group of students who has started the new 1 year MSc International Event Management, uniquely offered in the Netherlands as a joint delivery programme by Wittenborg University of Applied Sciences and the University of Brighton. 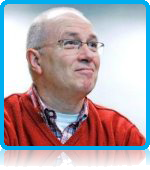 In the past years Henk Penseel has been a regular blogger at the Utrecht University of Applied Sciences, mainly writing in Dutch and will now continue his writing, also publishing on Wittenborg University Press (WUP).